"Oh, Dakuwaqa!" 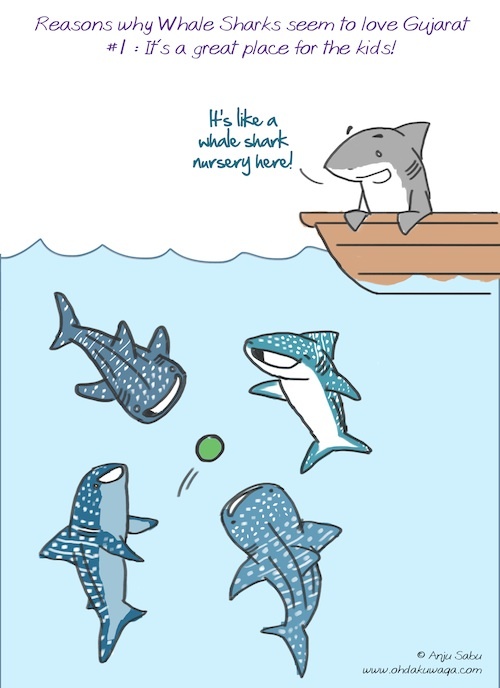 - The Shark comics and cartoons: International Whale Shark Day! 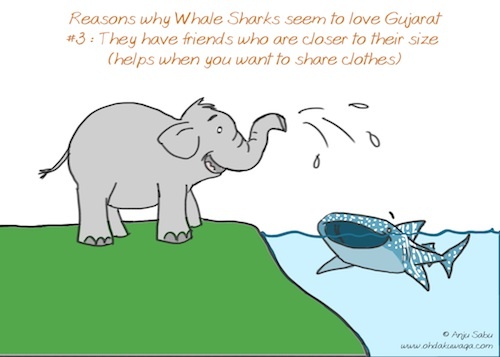 The Wildlife Trust of India told me about International Whale Shark day (August 30th) and asked if I could do a couple of sketches for them. 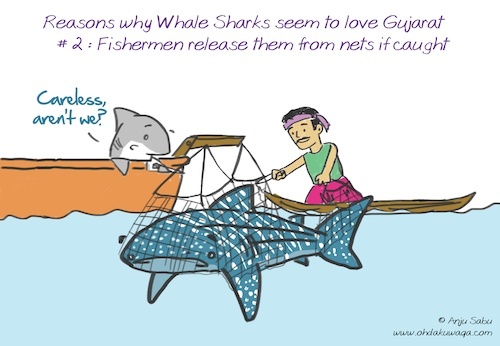 They have a Whale shark conservation project in Gujarat (I need to go check it out someday) and I did these as part of a "Whale Sharks in Gujarat" idea.